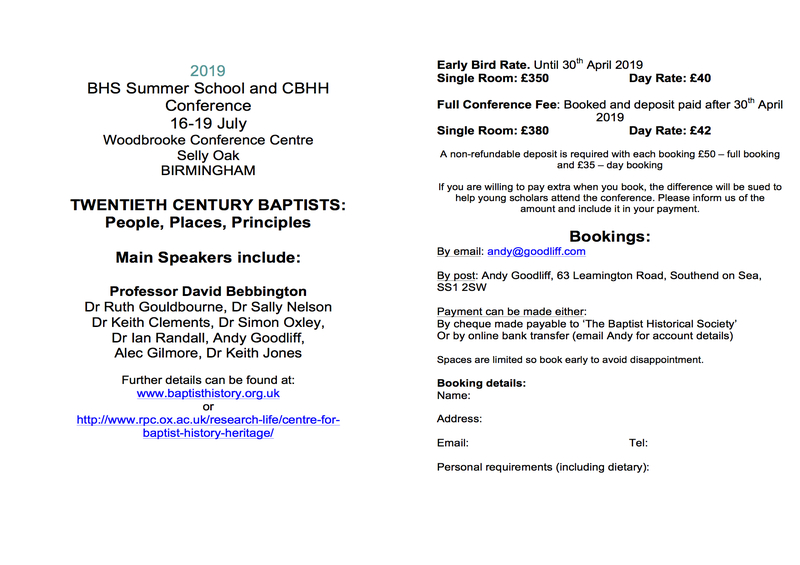 Baptist Historical Society Summer School and annual conference of the Centre for Baptist History and Heritage. This entry was posted in News and tagged Baptist, Baptist Historical Society, Bebbington, British, Centre for Baptist History and Heritage, Summer School. Bookmark the permalink.